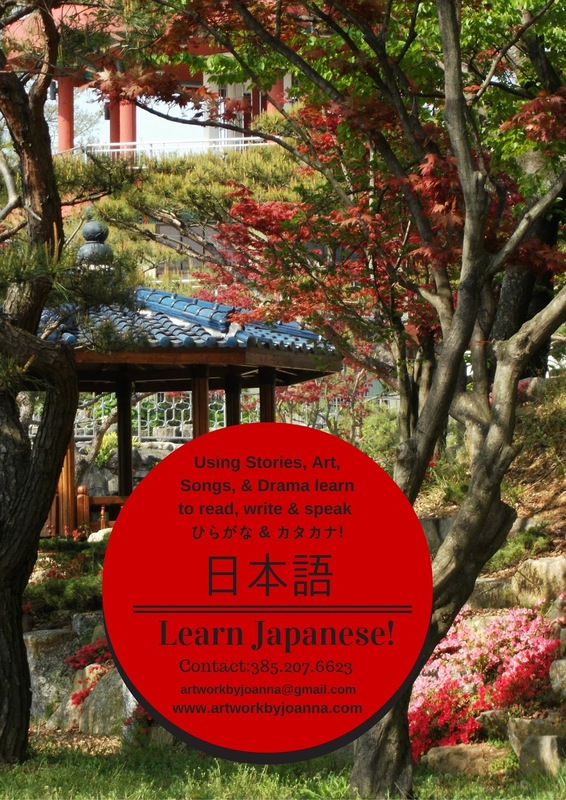 日本語をならいましょう！ Learn Japanese this Fall! the USA, Japan and South Korea, has added words to the art and music I've loved for so many years. 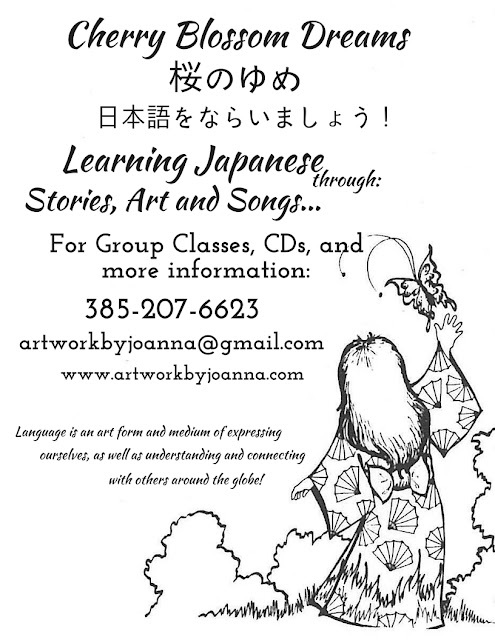 I've had the pleasure of tutoring students in the Japanese language for 2 1/2 years. in a more fun and intuitive way, have evolved. a culminating group presentation of an original story in Japanese. 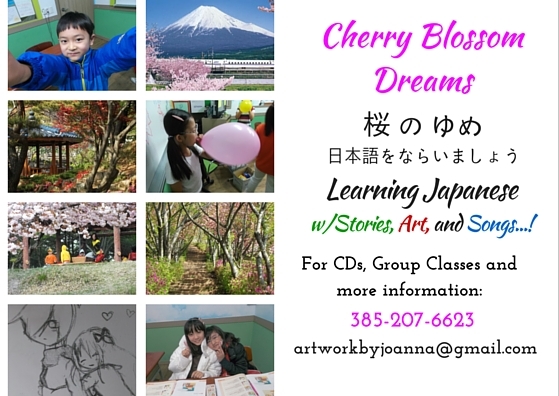 group classes will share a presentation, food and creations with friends and family. beginning in the Fall of this year, 2016.
here in Logan, Utah, July 28-29th! Learn, think, and express yourself Creatively! 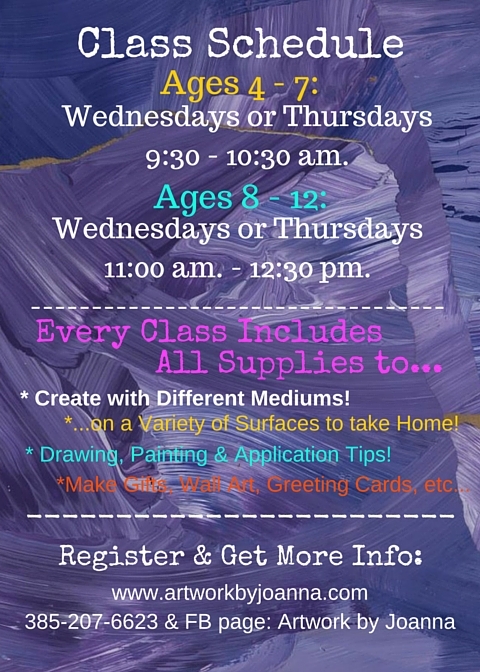 Summer Art Classes on the Horizon! Children are born with innate creativity inside. We watch them explore, invent and see the world in ways we've never imagined, or simply forgotten. 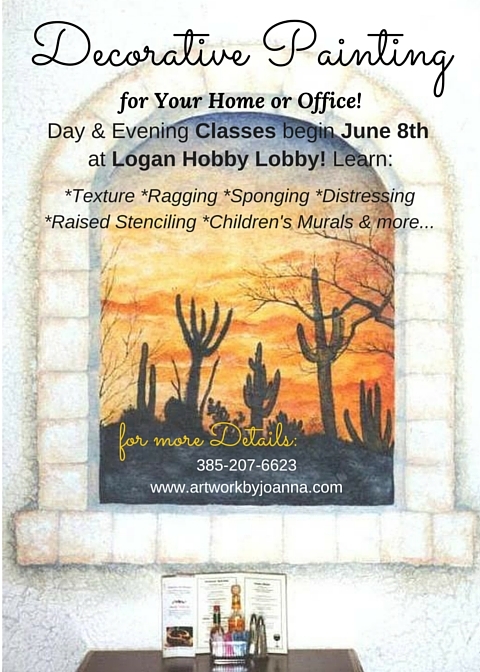 To help your kids explore their potential, see what and which styles & art mediums "speak" to them, each class at Logan, Utah's Hobby Lobby this summer will offer a different application technique, surface to create on and subject matter. 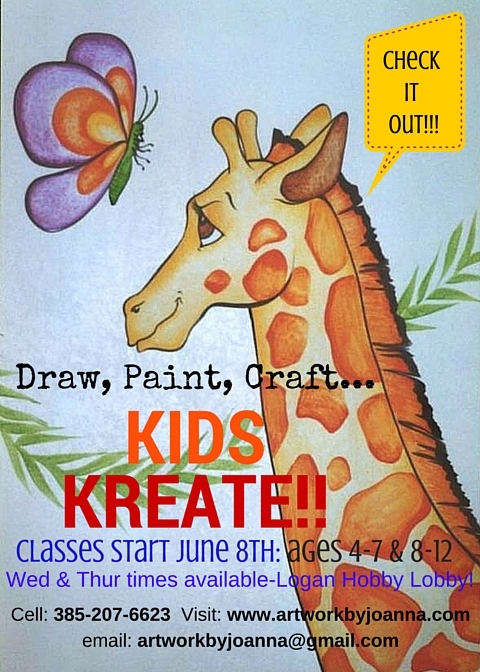 This will be a drawing, painting, pasting, ripping...make and take art projects class for kids this summer. to be alerted when & where registration will begin! 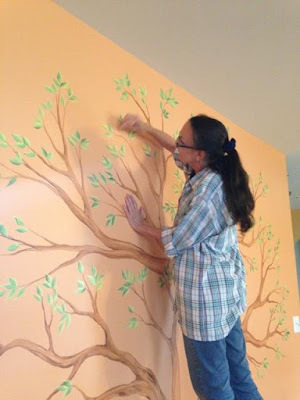 But what about grown-ups and teens who like to DIY? on Wednesdays or Thursdays, beginning June 8th. You can pick either day, from 2-3:30 pm. or after work? Thursday evenings 7-8:30 pm are for you! and enrollment will be limited for maximum productivity. Note: This class includes onsite participation opps! "Follow" this blog and email artworkbyjoanna@gmail.com to get on my mailing list! Then stay tuned for pricing, class specifics and registration dates & locations!